It’s March. The air is getting slightly less frigid, the wind is blowing, the snow is (God willing) starting to melt. This can only mean one thing: it’s time to start rocking the green and drinking the beer. In other words, it’s time to celebrate St. Patrick’s Day. 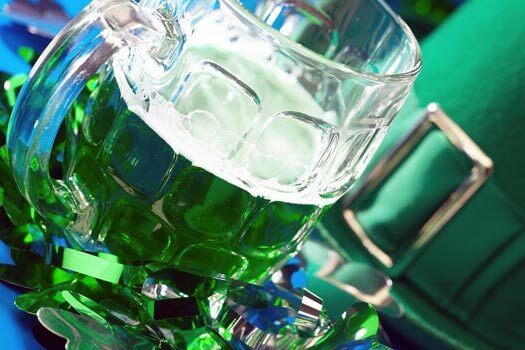 Whether you’re Irish and Catholic or anything else imaginable, March 17 is a day of revelry and fun, where everyone takes part in the traditional celebratory green beer and expects kisses simply for being “Irish” (even when they’re not). All this revelry is understandable in celebration of such a wonderful saint, but the question has to be asked: Why do we celebrate a man of God with excessive drinking, songs, and the color green? It might not seem likely, but these modern traditions do actually make perfect sense, if you know the Irish. St. Patrick is considered an Irish saint, though he was most likely from Wales or Gaul, who lived and preached in the fifth century. After being kidnapped and taken to Ireland at the age of 16, he worked as a shepherd and grew closer to God in his isolation. One day, thanks to a vision from God, he escaped and returned home. Not long after that, he received another vision, directing him to become a priest and convert the Irish people. This he did, with a vengeance. He baptized thousands, and even managed to rid them of their pesky snake problem. He was so popular that, when he died on March 17 in 493, there was even a fight over his body. Legend has it that he was finally laid to rest beside St. Brigid and St. Columba. There he supposedly rests to this day. So why, when most saint’s feast days center around attending Mass, praying, and generally doing “Catholic stuff” do we celebrate Patrick with drinking, singing, parades, and ridiculously kitschy accoutrement? The simple answer: we’re Irish and he’s popular. Put those two together and you get the modern St. Patrick’s Day. In New York City, for instance, there is the largest parade of its kind, dating back to 1762, hosting marching bands and step dancers, police, firemen, and just about every other group that is made up largely of Irishmen. People line the streets, keeping warm with, ahem, adult beverages and Aran sweaters. They spray their hair green and wear the phrase “Kiss Me, I’m Irish” emblazoned on anything you can imagine. They wear light up shamrocks on their heads and dangling from their ears. They drink green beer. In Chicago, they go a step further with the green theme, dying the entire river green just for the special day. So why do we celebrate Patrick with drinking, singing, parades, and ridiculously kitschy accoutrement? The simple answer: we’re Irish and he’s popular. Put those two together and you get the modern St. Patrick’s Day. As my last name is Green, through marriage at least, I consider myself an expert on this topic. Have you ever seen pictures of Ireland? It’s green. There’s really no other reason for the connection between the color and the saint. I could tell you there’s some higher meaning, a relationship between green being the color of rebirth, of spring, and therefore a symbol of the life of Christ in St. Patrick and his followers, but it’s not. It’s just a color, the color of the “Emerald Isle,” and therefore of St. Patrick’s Day. Just go with it, and have fun. Here, we can make connections between the Catholic faith St. Patrick preached and the abundant foliage of the land where he lived. In Ireland, shamrocks grow like grass. They’re everywhere. But so does, well, grass. Why do we associate this little three-leaf clover with St. Patrick and his day? The story goes that, while preaching to some pagans, St. Patrick plucked a shamrock from the ground, and used it, with its three leaves in one plant, to explain the Mystery of the Trinity, with Its Three Persons in One God. The image stuck and here we are, 1,500 years later, still using the same plant for the same reason. What can I say? When you find a good metaphor, you stick with it. Why the singing and drinking? Hello? Have you met the Irish? We celebrate everything with drinks and songs. We drink to commemorate weddings and wars, births and deaths, and everything in between. To quote that great Catholic author, G. K. Chesterton, “The great Gaels of Ireland are the men that God made made,/For all their wars are merry, and all their songs are sad.” An Irish wake is a prime example of this. Once, when we were “waking” a family friend, a group of us started belting out the song “There’s Got to Be a Morning After” (the rousing disco ballad from the 1972 film The Poseidon Adventure). The Italian funeral director came running in to the room to find out who was being so disrespectful. Imagine the look on his face when he realized it was us, the “family,” who had started the commotion. I believe there was also some alcohol involved, now that I think about it. It makes sense to the Irish to celebrate all seasons of life with the gifts God has given us, and two of those gifts are song and alcohol. To celebrate St. Patrick’s Day without either of them just wouldn’t be Irish. So there you have it, the cultural and spiritual history of our common St. Patrick’s Day revelries. Are there ways to make the holiday “holier”? Yes. Are they as much fun as the whiskey and the green hair? Probably not, but that’s OK. God likes to “meet us where we are” on our road to Him, and if that road happens to pass through a bar or two on our way to heaven, I’m sure God understands. Have a happy St. Paddy’s Day, and try not to go overboard on the green beer. I’ve heard it leaves you with one helluva bad hangover. Bridget Green is a lifelong Catholic, and a native of New Jersey. She lives a big life in a small apartment with her husband and their five children. 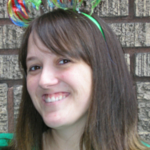 When not homemaking, homeschooling, folding laundry or fixing dinner, she writes about all of it on her blog, Life at Le. Rheims.